Insect bites and stings can cause an immediate skin reaction. 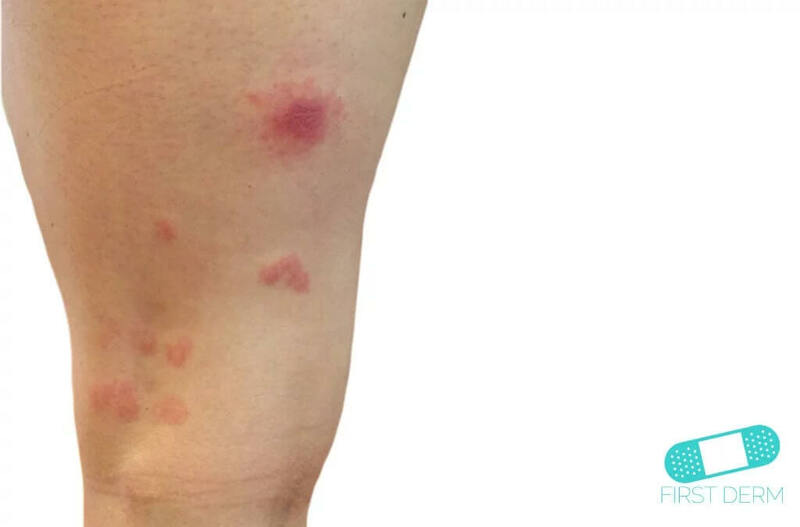 Most insect bites are minor and may cause the skin to swell and become red and itchy. 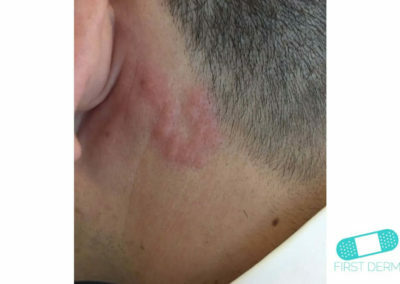 The bite from fire ants and the sting from bees, wasps, and hornets are usually painful. Bites caused by mosquitoes, fleas, and mites are more likely to cause itching than pain. Severe allergic reactions may appear as coughing, trouble breathing, lightheadedness, nausea, or hives. The venom from the insect’s sting or bite contains proteins and other compounds that trigger these reactions. The American Association of Poison Control Centers (AAPCC) reported 30,738 cases of single exposures to insects in 2014. Just more than 1,500 of these were listed as resulting in moderate and less than 40 described as major reactions. Mosquitoes choose their human victims based on the scent of carbon dioxide and other chemicals in your perspiration. 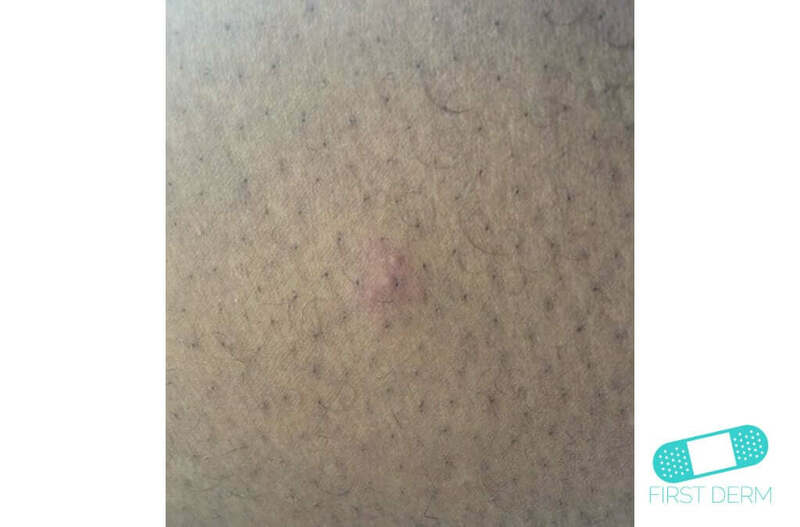 Their bites turn into itchy, round and puffy bumps with a small dot at the center. 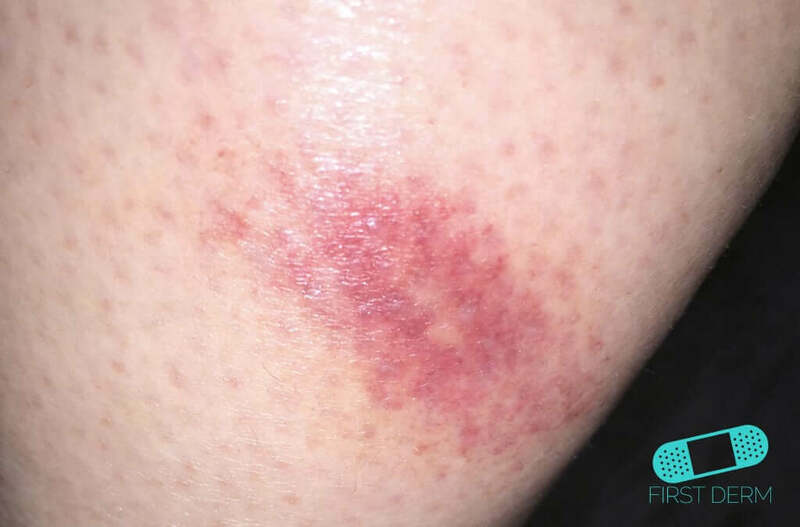 The bump soon becomes red and hard, with some swelling. They usually go away within a few days. Mosquitoes can spread viral diseases if they carry the pathogen. They can carry West Nile virus, dengue fever virus, Zika virus and other diseases. 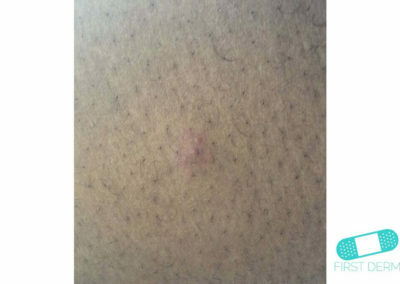 Otherwise, mosquito bites do not usually cause severe reactions. Bedbugs, as their name suggests, tend to hide in bedding. These bugs are small, flat and oval-shaped. They are often found in hotels, shelters, and apartment complexes. They feed on blood from humans or animals, and they’re most active at night, feeding on their victims while they sleep. 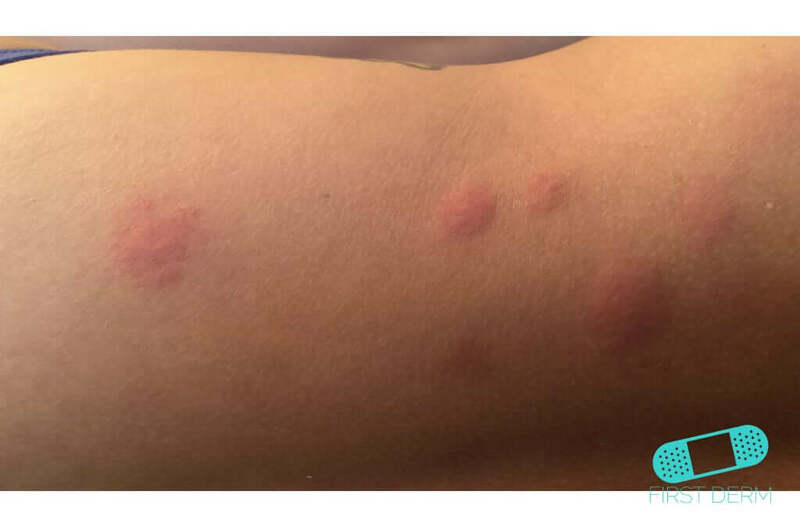 Bedbugs leave itchy, red bites with a dark red center. 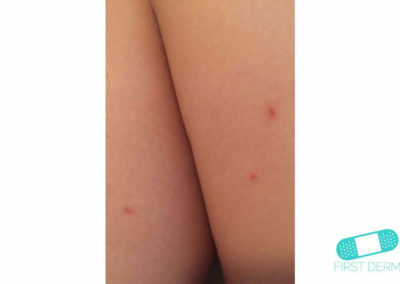 The bites are in a line or grouped together in a small area on the skin, usually on the arms or shoulders. They resemble mosquito or flea bites in their earliest stages. You can get infection from scratching the bites, which can lead to swelling and bleeding. Fleas live off blood. Some people are sensitive to flea bites, which are very small and typically located on your legs or ankles. A bee loses its stinger and dies soon after stinging, while a wasp, hornet or yellow jacket can sting multiple times. Fire ants look like ordinary ants and are aggressive when disturbed. They swarm on and bite the perceived intruder, injecting their venom repeatedly. 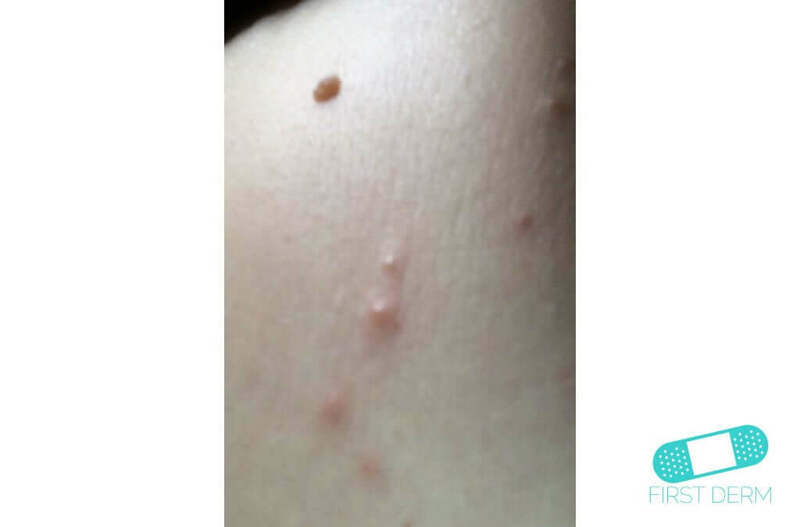 This creates pimply sores and blisters that are painful and itchy. It lasts up to a week and may create a burning sensation as well. A large number of stings may trigger a toxic or severe life-threatening allergic reaction. Get medical care if needed. Black widow spider bites cause muscle cramp, seizure, nausea, vomiting and rise in blood pressure. These spiders are roughly 1/3 inch wide and 1.5 inches long, counting their long legs. It is glossy black, with a distinctive orange, red, or yellow “hourglass” shape on her underside. Black widow spider bites may cause stabbing pain in the bite area, but they can also be painless. 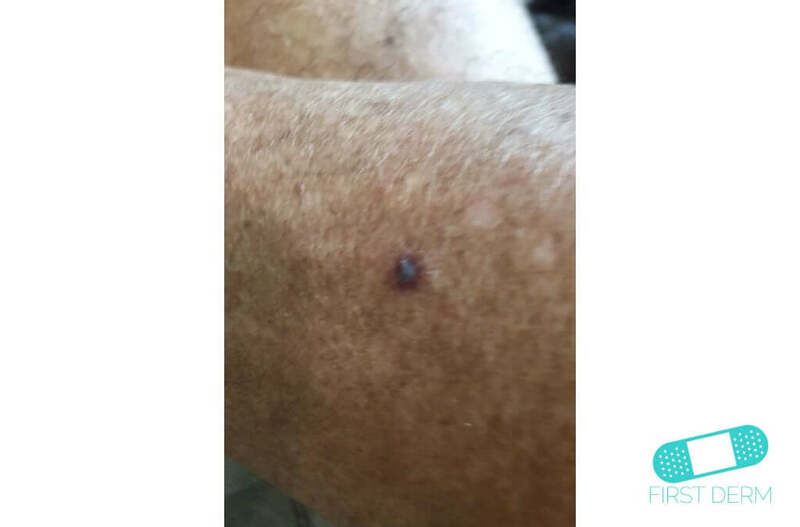 You will see two red fang marks, redness, tenderness, and a nodule at the bite site. Brown recluse (“violin”) spiders range in color from yellowish-tan to dark brown, with darker legs. They are active in Midwestern and Southern states in the U.S., but are usually non-aggressive. Their venom is toxic, and their bite can sometimes cause serious wounds and infection. 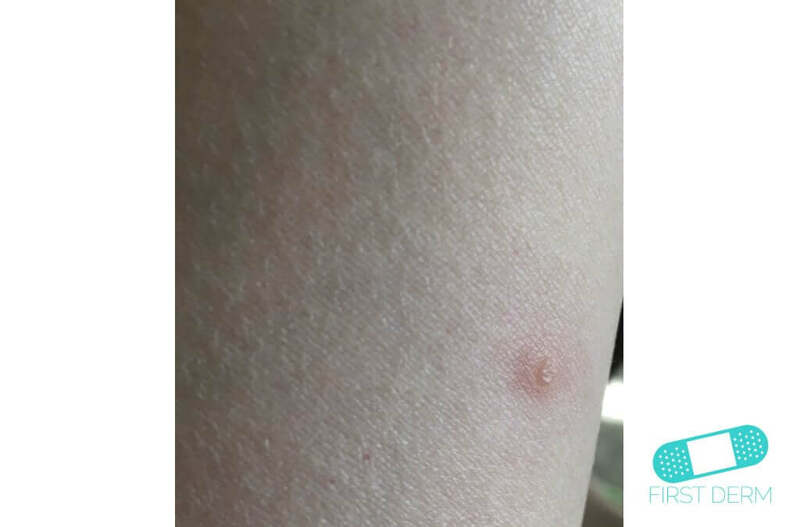 You skin may redden, turn white, blister, and becomes painful after the initial painless bite. Sometimes an ulcer forms. The blister can grow progressively worse without treatment. At its most severe, it may kill surrounding tissue and cause fever, chills, and headache. Hobo Spider is a large brown spider that is active in the Pacific Northwest of the U.S. They are aggressive and tend to hide behind furniture, under baseboards, and in closets. The initial bite is not painful but will eventually cause pain. 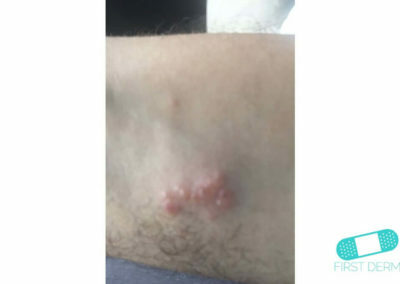 Other symptoms may include a red/purple blister, rash, muscle pain, difficulty breathing, headache, fever, high blood pressure, nausea and vomiting. Sometimes an ulcer forms. Spider bites often take longer to heal than other insect bites. They may damage your skin tissues as well. Get medical care immediately. Once a tick latches onto skin, it often moves to the warm, moist armpits and groin. It feeds on blood and passing on any disease it carries. In the U.S. black-legged tick and the deer tick can carry Lyme disease. Tick bites are typically singular. Early symptoms include, a circular skin rash, fever, headache, and fatigue. You may see red spot or rash near the bite site and experience neck stiffness as well. If you don’t have an allergic reaction to bee stings, simply remove the stinger, clean the sting site, apply ice, take oral antihistamine for itching, and take ibuprofen or acetaminophen for pain relief. Use the back of a credit card or other straight-edged object across the stinger. Do not use tweezers. They may squeeze the venom sac and increase the amount of venom released. If necessary, take an antihistamine, or apply creams with corticosteroids that reduce itching. Avoid being outside during dawn and dusk to reduce exposure to mosquitos. Use protective clothing and insect repellents to keep away ticks, mosquitoes, and other insects. Do not attempt to remove nests or hives unless you are a professional. Avoid dense vegetation or animals suspected of carrying fleas, chiggers, or ticks. Be aware of the potential for bees or other foraging insects to enter opened soft drink containers that are left idle. Use window screens, and get rid of standing water in your yard. Check the person’s airways and breathing. If necessary, call 911 and begin rescue breathing and CPR. Reassure and keep the person calm. Minor insect bites can be treated with soap and water, and itchiness can be alleviated with topical antihistamines. If have severe allergies to insect bites or stings, you should have an emergency kit and EpiPen. Make sure your friends and family know how to use it if you have a reaction. Anti-venom medicine is available for black widow spider bites.